Characteristics: Qualle is large boned, large framed, athletic female. She has a very noble head and exhibits perfect body proportions that lend to her excellent movement critiques in shows every time out. She has a perfect scissors bite and jet black mouth, with dark eyes. Her coat is short and soft, and her mahogany markings are some of the most beautiful in our kennel. We couldn’t be any happier with Qualle and the rottweiler puppies that she is producing in our kennel and we are very excited for the prospects that she brings to our kennel’s future. Pedigree Analysis: Qualle’s pedigree is a beautiful example of German ADRK breeding at it’s best. Of fourteen dog’s in Qualle’s three generation pedigree, nine are single country, multi country, Dt.VDH Ch’s, or International Champions. Qualle’s father, Umbro Vom Sittard, is one of our favorite males in the world today. He is a magnificent 68 cm, perfectly proportioned, hard working, and even tempered male. Her mother Reni Vom Goldenen Stern is a decorated ADRK show female, and world renowned producer. Qualle’s litter is a repeat breeding from a year earlier between Umbro Vom Sittard and Reni Vom Goldenen Stern that produced several prolific dogs in Germany’s show rings and breeding kennel’s today. 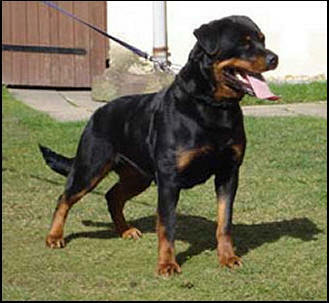 Qualle’s full brother Nex Vom Erxespring, owned by the world famous kennel Von Der Urbacher Hohe, was crowned German Federal BJS ’08. 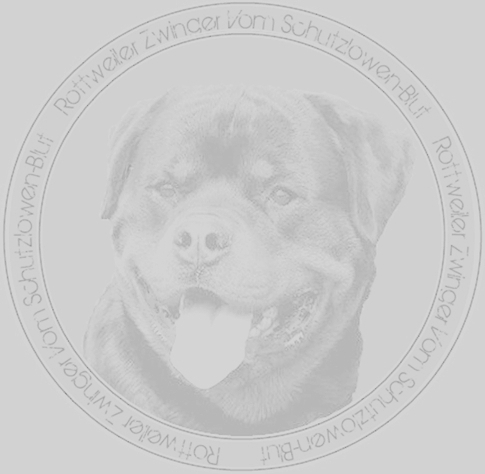 Kennel Von Der Urbacher Hohe also owns Qualle’s full sister, Nora Vom Erxespring, and will be using her as one of their breeding females in their quest to improve the breed for years to come. To us the most incredible still of Qualle’s full sister’s is Nanu Vom Erxespring who is owned by Kennel Vom Sittard. Nanu is sure to be a future Deutscher Champion, and will then be used in the breeding program to continue the legacy of Kennel Vom Sittard. 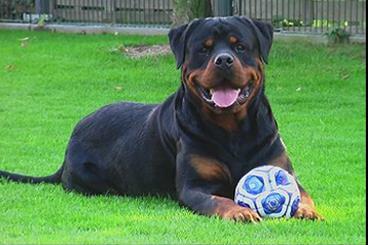 Qualle’s pedigree is well balanced between world famous show and working dogs including some very important distant inbreeding’s on some of our favorite lines in rottweiler history. Qualle’s bloodline has a heavy dose of Norris Vom Gruntenblick/ Falko Vom Gruntenblick via Jackomo Von Der Bleichstrasse four and five generations back on her top and bottom side. She also has a healthy dose of Benno Von Der Schwarzen Heide top and bottom in her fifth and sixth generation back which always brings correct form to a breeding program. Finally, and very important to us, she has a four generation back linebreeding on her all important dam side pedigree on Hero Von Hohegeiss/ Aki Von Der Peeler Hutte/ Dingo Vom Scwaiger Wappen. All in all Qualle allows our breeding program the platform to consistently produce some of the best example’s of the breed anywhere in the world today both on the field and in the show ring, and we couldn’t possibly feel more blessed to have her as a part of our family! 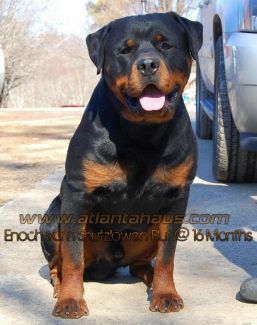 Champion Rottweiler Breeding Taking Place December 3rd-7th, 2012!! Puppies Will Be Born Approximately February 6th, 2013!! Puppies Will Be Ready For Their New Homes Approximately April 3rd, 2012! !